What Is the Difference Between Skim Milk & Fat-Free Milk? The dairy aisle is filled with milk choices: regular milk, 2-percent milk, 1-percent milk and skim milk. Chocolate milk, buttermilk and "milks" made from rice, soy and almonds can also be found. Cow's milk is a good choice for those who can tolerate it, and most adults are encouraged to drink the skim milk variety. Some recipes call for fat-free milk, which can cause confusion when it isn't found in the dairy aisle. Merriam-Webster defines skim milk as milk from which the cream has been removed. Technically, over 99.5 percent of the fat must be removed, making the product virtually fat-free. 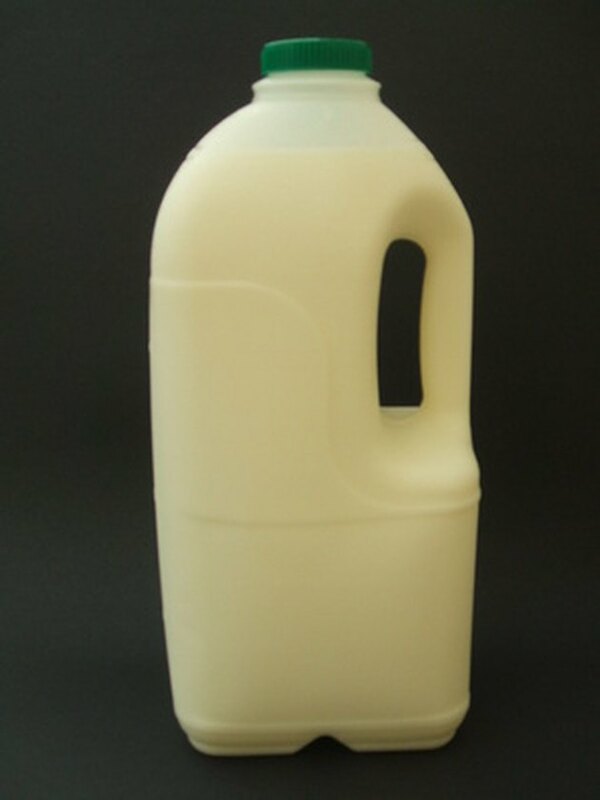 Also called skimmed milk, skim milk is the same product as fat-free milk. It stands in contrast to whole cow's milk which retains all of the fat, and 1- or 2-percent milk which contains 1 to 2 percent fat, respectively. Skim milk is lower in calories than other milks, while retaining roughly the same amount of most other nutrients. Skim milk usually contains 80 to 90 calories per cup. It contributes protein, riboflavin, thiamine and vitamin B12 to the diet. Skim milk is also rich in minerals, providing a good source of calcium, potassium, selenium, magnesium, zinc and phosphorus. Like all milk in the United States, it is fortified with vitamin D. Skim milk is also fortified with vitamin A, which is lost from the milk when the fat is removed, explains Cornell University. The nutrients in diary products protect your bones and teeth, modulate your blood pressure and build strong muscles. The U.S. Department of Agriculture recommends two servings of low-fat milk products daily for children ages 2 to 8, and three servings for adults and children over the age of 8. One cup of skim milk is considered a serving. Cheese and yogurt are also in the milk group, according to the USDA. Skim milk can be drunk with breakfast, lunch and dinner. Warm skim milk is often considered a relaxing bedtime snack. If you grow tired of drinking milk by itself, add it to a bowl of whole-grain cereal or make a smoothie by blending it with a frozen banana and fresh strawberries. Skim milk can be used as a base for homemade soups, rice dishes, casseroles, buckwheat pancake batter, pasta dishes and mashed potatoes. It can be used instead of water when preparing condensed soups, oatmeal, cream of rice and cream of wheat. By making a few simple tweaks to your current diet, you can ensure that you consume the recommended three servings of dairy products each day. Is Skim Milk a Good Source of Protein?